Lucy Rose has had a magnetic affect unto the teenage market across the blogosphere and the 2012 Festival circuit; who embraced her like their cooler, more hip elder sister. Barely older, at 23, Rose has collab’ed with Bombay Bicycle Club, and this, her first solo work, maintains the honest, charming and innocent punctuality of this earlier claim to fame. It seems that, for those with a finger on the pulse, Rose is steadily claiming ownership over this year’s singer-songwriter trophy: a fickle award never designed to last. On prediction, Rose’s solo effort is less an enchanting listen, more a pleasant foray; as lusty vocals coat ornate rhythms and simple melody in pleasant, lateral terms. It’s hard work to sustain interest during meeker points. ‘Like I Used To’ permeates deeper with a thorough track-by-track listen, and it’s hard not to be won over by the more complex ‘Be Alright’, which translates youthful woe with less inward wretch and more outward pizazz. Likewise, ‘Shiver’ and ‘Place’ are more ornamental and involving. There is little wrong here. Time may well aid in revealing just how much is right. After years of touring with her solo material and contributing to two Bombay Bicycle Club records, Lucy Rose’s own debut album, Like I Used To, feels long-overdue. Yet, she forms part of a particularly over-crowded branch of the current British music scene – the female singer-songwriter. She has even recounted tales of being passed over by record labels, despite her sterling live reputation, because they had “already signed a girl that year”. Yet Rose insists that she is “so much more” than the box she has been put in, so how does her first effort fare? I was fortunate enough to catch some of Rose’s set at Latitude this summer, where she worked a wonderfully minimal, largely acoustic sound. Her band’s backing was subdued, with her vocals taking centre stage. Her stripped-back, folk sensibilities have translated well in the studio and Like I Used To glows with the interplay between Rose’s honeyed voice and delicately-strummed melodies. It is when this dynamic remains at the fore that the record really shines – ‘Night Bus’, with its gently lilting vocals, is a particular highlight and the up-tempo single, ‘Bikes’, works well with its charming melody tapped out on a xylophone. Warm, reverberating electric guitar washes over the acoustic, staccato interjections of break-up song, and my standout track on the album, ‘Middle of the Bed’. Yet, some of the more pop-oriented tracks feel a little over-produced and, particularly on radio-ready ‘Watch Over’ and ‘Lines’, Rose’s voice gets a little lost amongst the busier instrumentals. I’m not convinced that Rose breaks any new ground for the female singer-songwriter genre, but this is a solid and thoroughly enjoyable first effort. 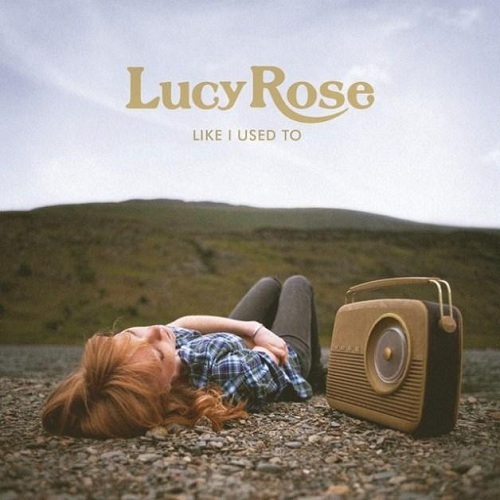 Lucy Rose is as twee as newly born foal scampering through a sunset meadow as pink blossom floats and weaves its way through the sweet scented air. She is coming at you (gently and with a smile) with her first offering Like I Used To. An album that’s Chock-A-Block with sentimental, whimsical love songs. If you are not a fan of the matters of the heart, then maybe it’s best to steer clear of this album, and maybe think about receiving some help as that could become a further issue. While the music can be quite forgetful, there are times when Rose creates a beautifully soft, soaring vocal line which makes your heart leap. ‘Night Bus’ is one such example with the guitar gently plucking away as Rose’s voice rises and falls and patters across the airwaves. It is a heart-warming track; enough to make the inside of a samosa seem chilly. In parts of the album you can hear the influence that having a close relationship with Bombay Bicycle Club’s Jack Steadman has had on her with such tracks as ‘Watch Over’. But whereas with Bombay this style somehow works, with Rose it feels somewhat outlandish and awkward. ‘All I’ve got’ (which is found on the Deluxe album) is also of note, at times coming across all Joni Mitchell, but with Lucy Rose’s own definitive style stamped across it. This album is an enjoyable listen. But like eating multiple packets of smarties and whizzing around like an uncontrollable sugar fuelled robot, too much sweet laced self-indulgence starts to feel sickly all too soon.